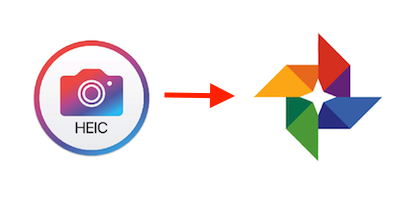 Want to convert HEIC file to JPG but don’t know how? Go through this quick guide as here we will show you how to change a HEIC file to JPG on iPhone, Windows, and Mac. 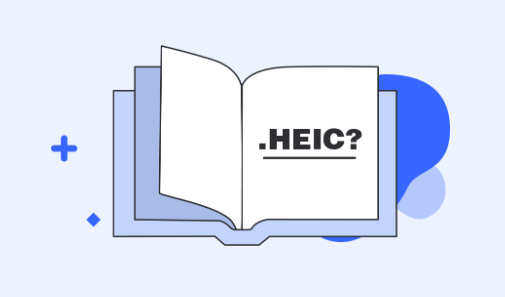 HEIC is the file extension or container that stores individual HEIF (High-Efficiency Image File Format) images, image sequences, or image bursts, with metadata that describes each image. And the technology on which HEIF is based on is High-Efficiency Video Compression (HEVC), or also called H.265. Both HEIF and HEVC technologies are developed by the Moving Picture Experts Group (MPEG) and HEIF format became famous when macOS High Sierra and iOS 11 were released. Also, iDevice running on iOS 11 save images as HEIC files rather than JPEG files. The best thing about the new format is it requires very less storage as compared to JPEG files without compromising the image quality. And if you don’t want to save photos on your iPhone as HEIF format, then you can change it from your iPhone Settings>Camera>Formats>Most Compatible. However, its main downside is it does not support all operating systems such as Android, Windows, etc. and not compatible with a lot of applications. So, if you have HEIC files, and want to convert into a widely compatible format – JPG, then you’re coming to the right place. Here, we will tell you how to change HEIC to JPG on iPhone/Windows/Mac. If you have Windows 10 version, then you can open the HEIC file on your computer using the Photos app. All you have to do is to click the link i.e. Download codecs at Microsoft store in the Photos app to make it possible. 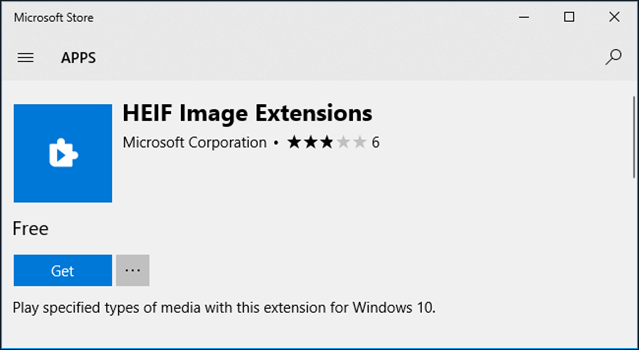 The Store app will take you to the “HEIC Image Extensions” page and here, click on “Get” to download and install the codecs on your system to open the HEIC file. However, if you want to change a HEIC file to JPG on Windows, then you can’t do it without third-party software or an online converter tool. If you don’t want to download and install third-party software on your PC, then you can use online conversion tool. It will aid you to convert the desired HEIC files to JPG format with ease. Luckily, if you are Mac user, then you can open or change a HEIC file to JPG with two ways i.e. 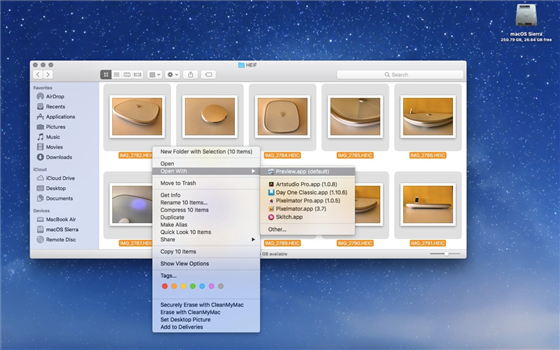 Mac built-in Photos app and Preview, and DropBox. Step 1: To begin the process, open the folder where HEIC files are present on your Mac and then, select the desired HEIC files you want to open and convert. Step 2: After selected the files, right-click and then, choose “Open With Preview” and it will open the HEIC files in the Photos app and Preview. Step 3: Thereafter, click on “Edit” and then, choose “Select All”. Click on the “File” menu and then, select “Export Selected Images”. Step 4: Next, click on “Options” and then, choose “JPEG” from the format menu. Finally, you can save HEIC files as JPEG files. The cloud storage utility, DropBox, now provides the support for HEIC files and you can open the HEIC files via DropBox. Also, you can use it to change iPhone HEIC photos to JPEG on Mac. All you have to do is to upload HEIC photos to DropBox from iPhone and then, sync files to Mac. Here are the steps on you can do it. 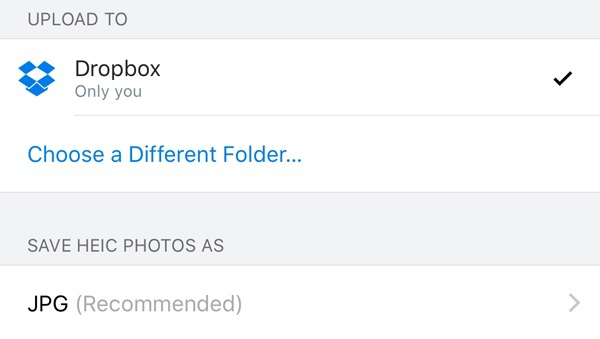 Step 1: Run the DropBox app on your iPhone and then, click on the “Person” icon. Go to settings icon and here, tap on “Camera Uploads”. Step 2: Here, you will see “SAVE HEIC PHOTOS AS” option and select JPEG format. Now, upload the HEIC photos to DropBox from iPhone. Step 3: Finally, you can now download DropBox for Mac on your Mac or can access DropBox website. You can download uploaded HEIC files as JPEG format from DropBox to your Mac. If you want an easiest and hassle-free way to change HEIC to JPG on iPhone, then you can use the powerful free online HEIC-to-JPG conversion tool, like AnyGet HEIC Converter. It is a simple and fast way to convert a HEIC file into a most compatible format, JPEG. 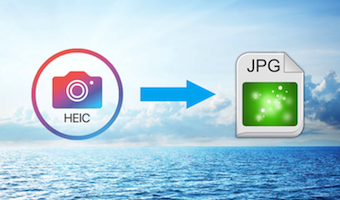 It will aid you to convert HEIC files to JPEG with three simple steps, i.e. upload, convert and save. The tool also gives multiple options for the image quality you can choose i.e. Standard, Medium and High. You can upload HEIC files you want to convert either by simply drag and drop or you can select manually. It is a spy-free online tool and that’s why it is 100% safe and secure to use on both Windows and Mac operating system. It will also give you an option to preserves the EXIF metadata of the image you want to the converter. 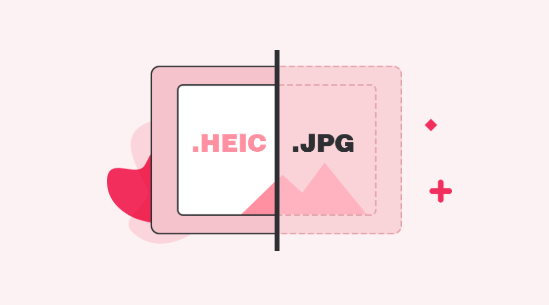 Step 1: Visit the HEIC-to-JPG convert official site. 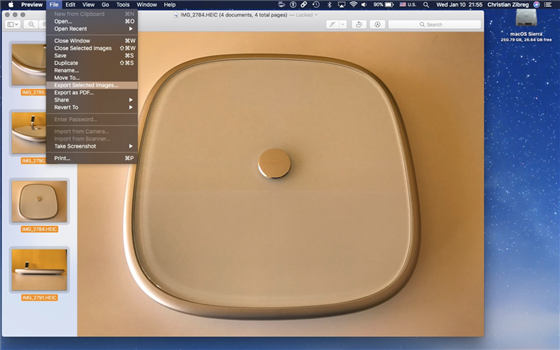 Next, select the HEIC photo from computer or you can drag and drop the photo. Step 2: Now, the tool will start the conversion process and wait until it is not completed. Step 3: Once the HEIC photo is converted successfully, click on the “Download JPG” button to save the photo to your system. That’s all on how to change a HEIC file to JPG. 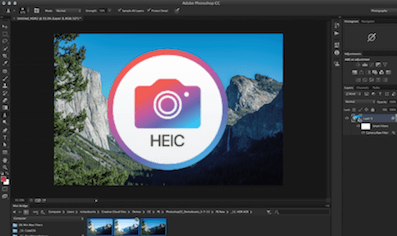 As HEIC files are newly launched and do not support by all image editor applications, thus, it is better to change them into JPEG format so that you can open the HEIC files on every platform. And AnyGet HEIC Converter is one of the trouble-free ways to make it possible and you can try it as it is free to use. Copyright © 2019 iMobie Inc. All rights reserved.